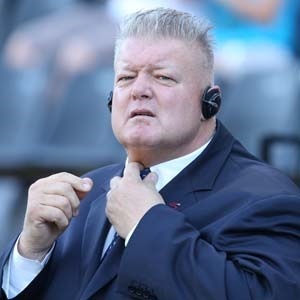 Cape Town - 1995 Rugby World Cup winning Springbok Kobus Wiese believes that political unrest and crime statistics contributed to South Africa losing the 2023 Rugby World Cup to France. Now 53, the former giant of a lock was as shocked as anybody to learn on Wednesday that the 2023 showpiece will be hosted in France, despite World Rugby having recommended South Africa as the preferred host nation just two weeks ago. "When World Rugby announced us as the preferred nation it was a done and dusted deal," Wiese said. "It's a huge blow ... a huge loss to South Africa and it's very unfortunate." Wiese, who started the 1995 World Cup final against the All Blacks at Ellis Park, is of the firm belief that South Africa could have pulled off another spectacular tournament. "We've got the track record. We've had the Rugby World Cup and the Soccer World Cup and we've hosted the most successful events in history, financially," he said. "The only thing that comes to mind is the current situation in our country, unfortunately. The very high levels of crime ... that probably counted against us in the end." After the World Rugby recommendation, Ireland wrote a letter to the game's governing body raising concerns over the safety issues that may arise in hosting a World Cup in South Africa. For Wiese, that played a massive part. "The political unrest in our country definitely counts against us," he said. "The extremely high levels of crime and murders must count against us. It's one of the very big things that World Rugby looked at. "There are a lot of people coming into the country for a World Cup and they need to be safe. In my opinion, that is the deciding factor." By the time the 2023 World Cup arrives, it would have been 28 years since Wiese and his Springbok team-mates inspired a nation and the world by lifting the Webb Ellis Cup on home soil.